After completing one full-stop landing on the grass runway in calm wind conditions, the private pilot decided to complete another landing in the opposite direction. During the landing, the tailwheel-equipped airplane bounced multiple times and became airborne again. The airplane then veered to the right and impacted a ditch next to the runway. The pilot stated that there were no mechanical malfunctions or failures with the airplane that would have precluded normal operation. It is likely that the pilot failed to control the airplane's descent rate and landing flare, which led to the bounced landing. He was then unable to recover and exited the side of the runway. The pilot's improper landing flare, which resulted in a bounced landing, and a subsequent loss of control followed by a runway excursion. 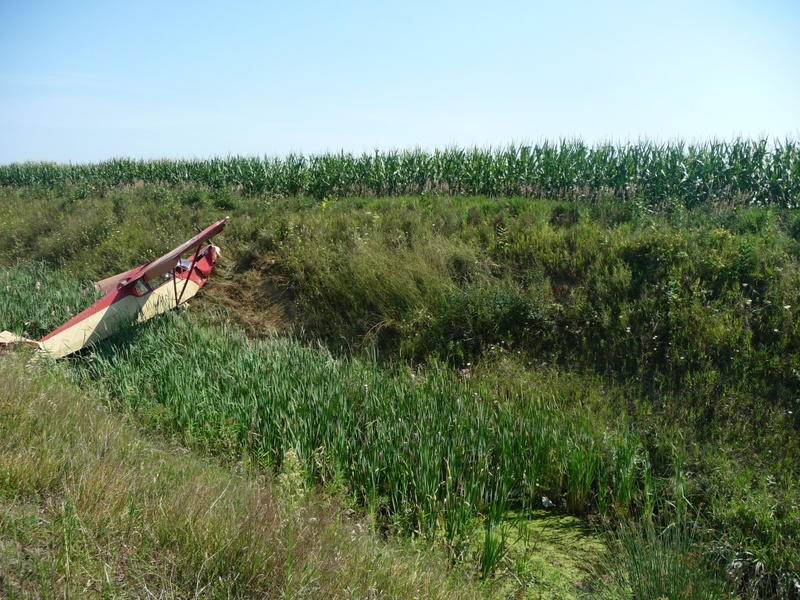 On August 10, 2016, about 0730 eastern daylight time, a Piper J5C airplane, N30313, impacted a ditch after landing at Sandusky City Airport (Y83), Sandusky, Michigan. The private rated pilot sustained minor injuries and the pilot rated passenger sustained serious injuries. The airplane was registered to and operated by a private individual under the provisions of 14 Code of Federal Regulations Part 91 as a personal flight. Visual meteorological conditions prevailed at the time of the accident and no flight plan was filed. The flight departed from Dupont-Lapeer Airport (D95), Lapeer, Michigan, about 0630. The pilot stated that they arrived at Y83 and completed one full stop landing on runway 18. They departed runway 18, entered the traffic pattern, and intended to land on runway 36. The pilot noted that the touchdown was normal, but the airplane veered to the right and impacted a ditch. The pilot noted that there were no mechanical malfunctions or failures with the airplane that would have precluded normal operation. The pilot had no other memory of the accident sequence. The pilot rated passenger, seated in the rear seat, stated that the approach was stable, but during the landing the airplane "bounced pretty good," enough for the airplane became airborne again. The airplane bounced 2 to 3 times and veered right. The airplane began to gain altitude and then dropped into the ditch. He did not recall the right wing contacting anything prior to the impact with the ditch. The passenger had no other memory of the accident sequence. 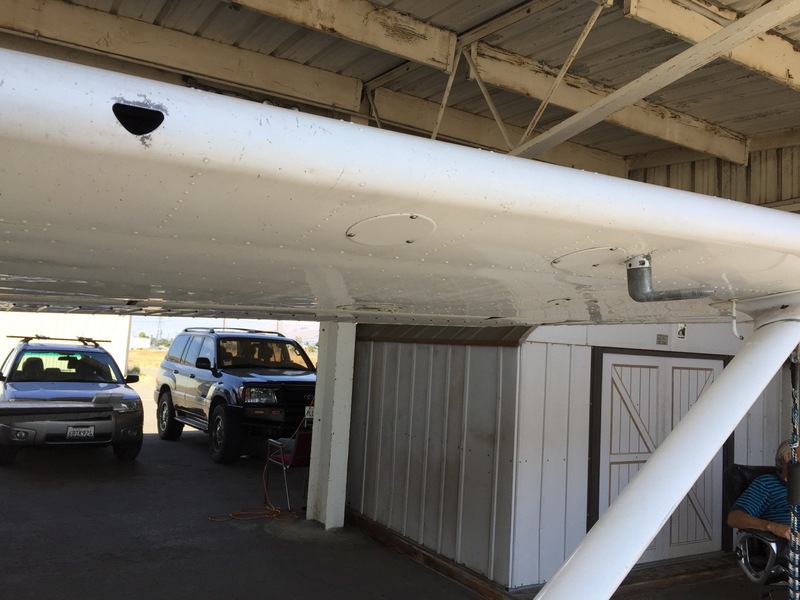 The responding Federal Aviation Administration (FAA) inspector conducted a postaccident examination of the airplane and found no anomalies that would have precluded normal operation. He reported that the left wing and fuselage sustained substantial damage during the impact sequence. Sanilac County Sheriff’s Deputies and Sandusky Police responded to the airport. The pilot and passenger were out of the airplane and were located in the airport terminal. According to Sgt. Ron DuBois, the initial investigation indicates that the pilot, a 65-year-old Metamora man and his passenger, a 61-year-old man also from Metamora, were flying in from Lapeer in the Pilot’s 1940 Piper J5A airplane. At approximately 7:30 a.m. the pilot attempted to land on the grass runway at Sandusky Airport. 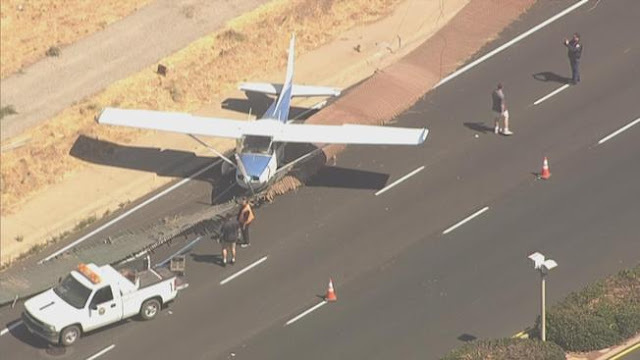 The airplane touched down without issue and after the touchdown and traveling a short distance, an unknown issue caused the aircraft to veer off the runway into a large drainage ditch. The wing struck the opposite bank of the ditch and turned the nose of the airplane straight into the ditch bank. The impact caused significant damage to the aircraft. The pilot and passenger were able to get themselves out of the airplane. They were both taken to McKenzie Hospital in Sandusky for treatment of their injuries. The Federal Aviation Administration was contacted and will be conducting an investigation in conjunction with the Sheriff’s Office. 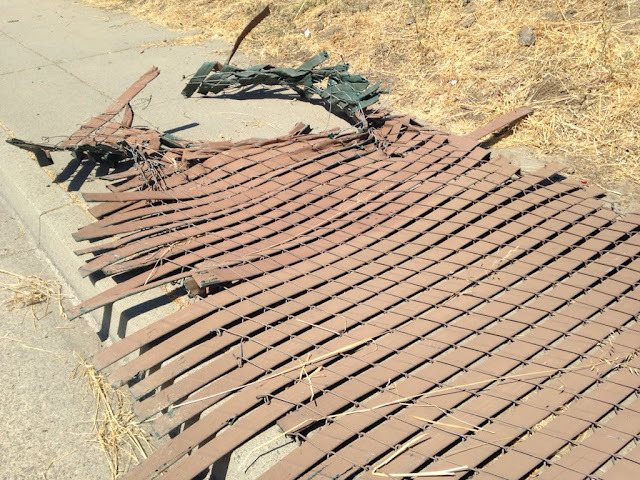 The name of the occupants of the airplane are being withheld pending an investigative determination. After years of complicated legal wrangling between the state, The Nature Conservancy, and the town of Edgartown, plans to replace the dilapidated World War II-era hangar at the Katama Airfield finally got the go-ahead on Monday when Edgartown selectmen Michael Donaroma and Margaret Serpa approved amendments to the conservation restriction at the airfield. Selectman Arthur Smadbeck did not attend the meeting. The 90-acre grass airfield purchased by the town in the 1980s is in an area governed by conservation restrictions held by the Nature Conservancy, the town, and the state. Any amendments to the conservation restriction had to be approved by the state legislature. Town voters approved the hangar expansion at a special town meeting in 2010. “So this allows the commission to put up a new hangar,” Mr. Donaroma said as he contemplated the stack of papers waiting for the selectmen’s signatures. “A replacement of the old hangar that will fit in real nicely,” replied Edward (Peter) Vincent Jr., chairman of the Edgartown conservation commission, who also sits on the airfield commission. 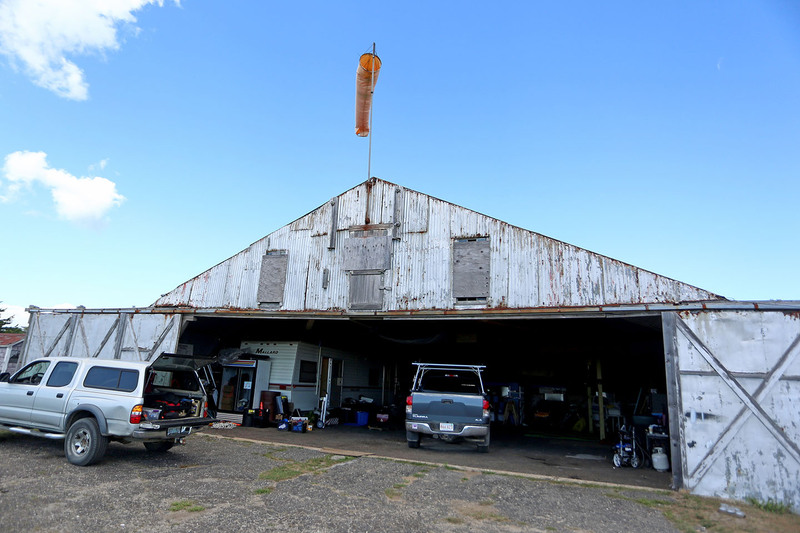 The final documents allow the renovation and expansion of the existing hangar at the airfield, from a “50 foot by 53 foot structure to a 60 foot by 100 foot structure.” The agreement comes with conservation restrictions on additional acreage. For plans that took years to come to fruition, signing off on the restrictions seemed anticlimactic at the brief but significant weekly selectmen’s meeting. In other business, building inspector Leonard Jason sailed through his annual review. Mr. Jason said he’s currently dealing with a “few issues” that include evicting a tenant. “It’s never-ending,” said town administrator Pam Dolby. Instrumentation for VOR and Precision GPS approaches. Left wing outboard of strut leading edge small bend. 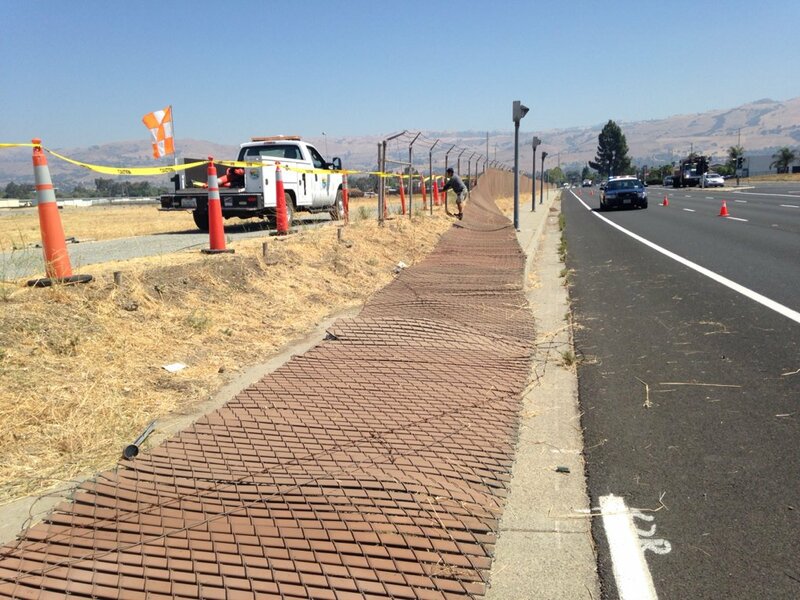 AIRCRAFT ON LANDING WENT OFF THE END OF THE RUNWAY, THROUGH A FENCE AND ONTO A ROAD, REID-HILLVIEW AIRPORT, SAN JOSE, CALIFORNIA. 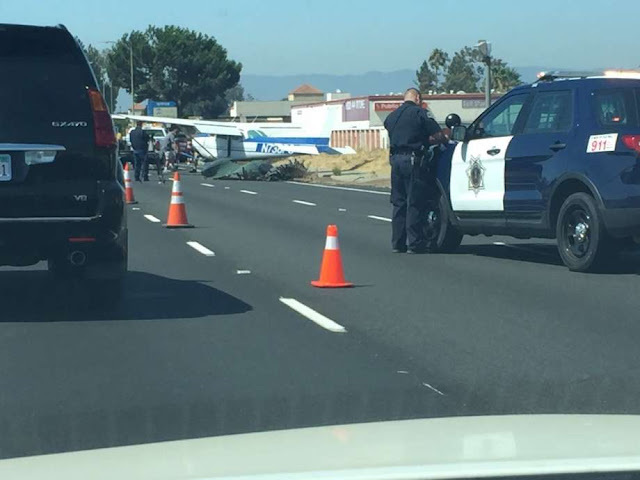 SAN JOSE (KRON) — Emergency crews are responding to a small plane crash in San Jose Wednesday morning. 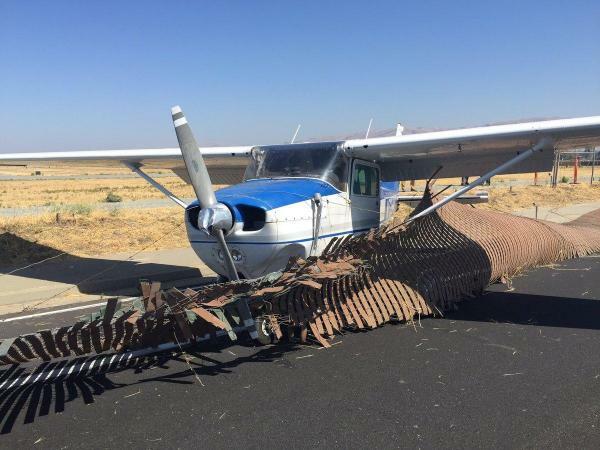 The plane rolled off the runway at the Reid-Hillview Airport near Tully Road and South King Road at around 11:20 a.m., according to authorities. 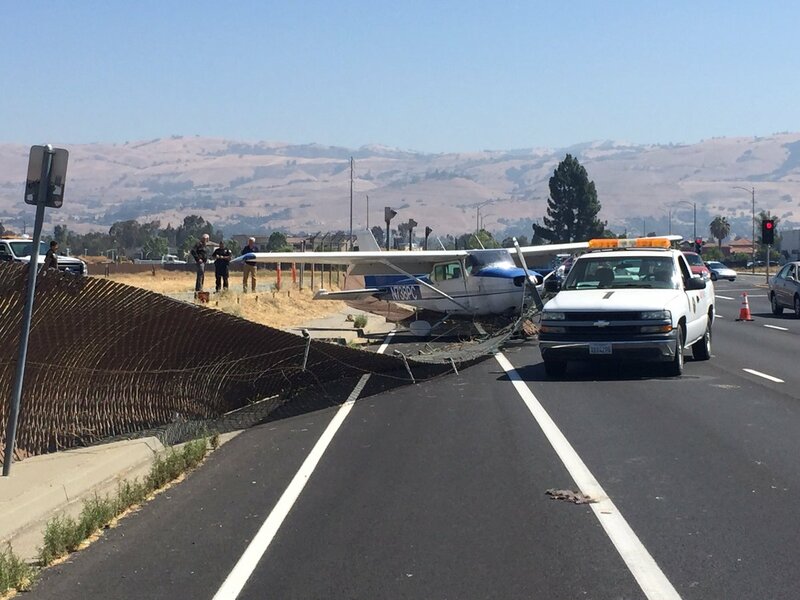 The plane went through a fence and was blocking traffic on westbound Tully Road between Capitol Expressway and Eastridge Way. No injuries were reported in the incident, fire officials said. A flight instructor and his student escaped injury Wednesday when their small private plane crashed through a fence at a San Jose airport and ended up on a busy road, fire officials said. The Cessna aircraft ran off the end of a runway at Reid-Hillview Airport at 10:38 a.m., crashed through a fence and went onto Tully Road, said Capt. Christopher Salcido of the San Jose Fire Department. Two men, a flight instructor and student pilot, were on board. It was not immediately known who was piloting the plane, Salcido said. Fire personnel arrived at 10:42 a.m., finding the occupants unharmed and already out of the blue and white aircraft. 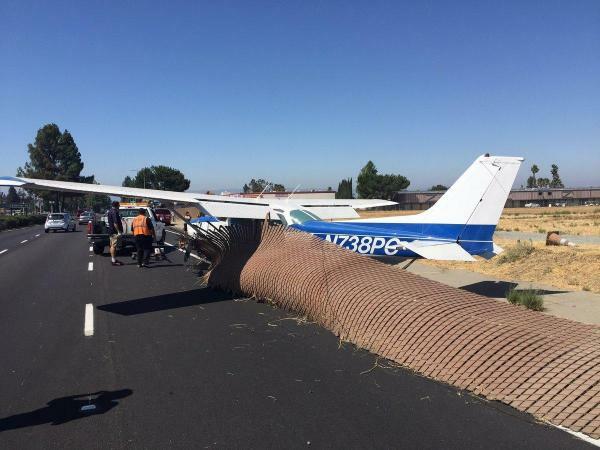 SAN JOSE -- A student pilot flying with an instructor overshot the runway at Reid-Hillview Airport during an exercise Wednesday morning, crashed into a fence and came to a stop on Tully Road, according to the San Jose Fire Department. The student pilot and instructor walked away without any injuries. The plane also pushed a large portion of the fence onto the slow lane of Tully Road, resulting in a temporary road closure, according to San Jose Fire Capt. Chris Salcido. AIRCRAFT, AERO COMMANDER 112, LANDED GEAR UP, RENO-STEAD AIRPORT, RENO, NEVADA. AIRCRAFT LANDED GEAR UP, SALLISAW, OKLAHOMA. 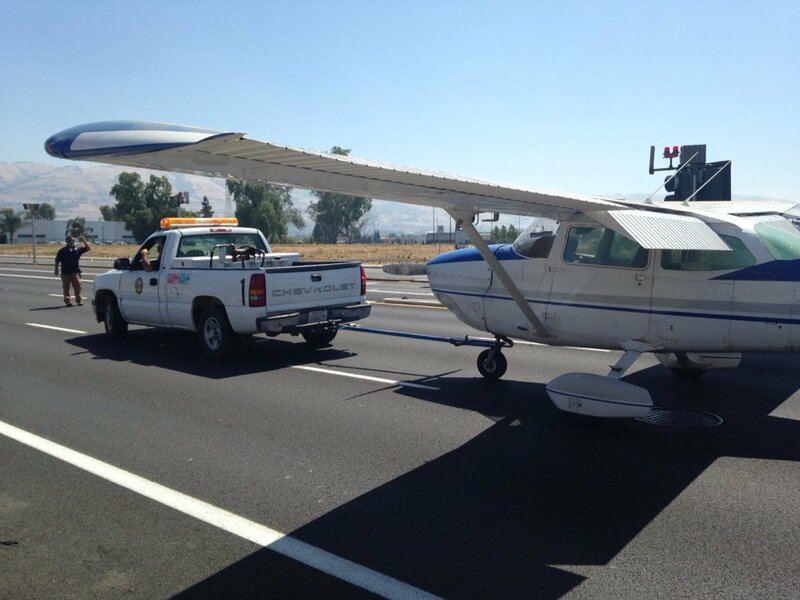 The commercial pilot was landing the airplane during a cross-country flight. The pilot reported that, during the landing roll, the airplane veered left. 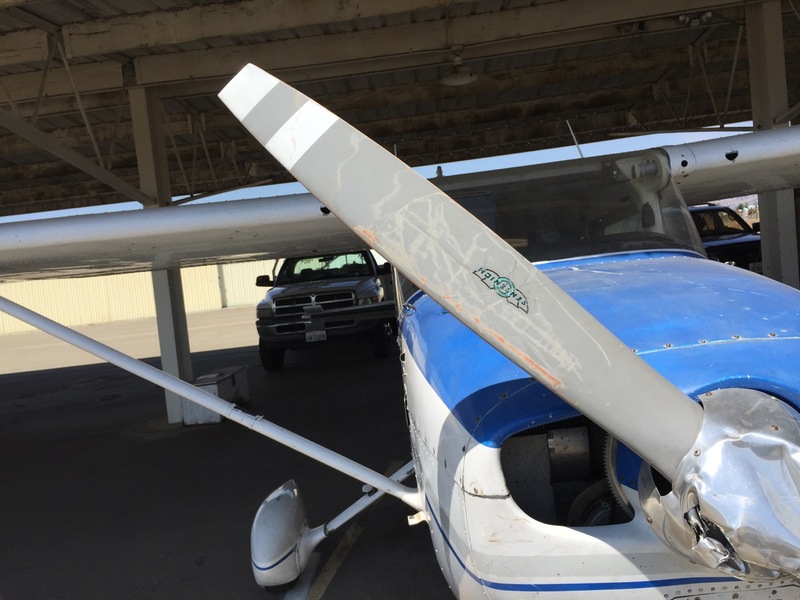 The pilot straightened the airplane and added power to go around, but the airplane again veered left, traveled off the side of the runway, and impacted two airplanes parked on the ramp. 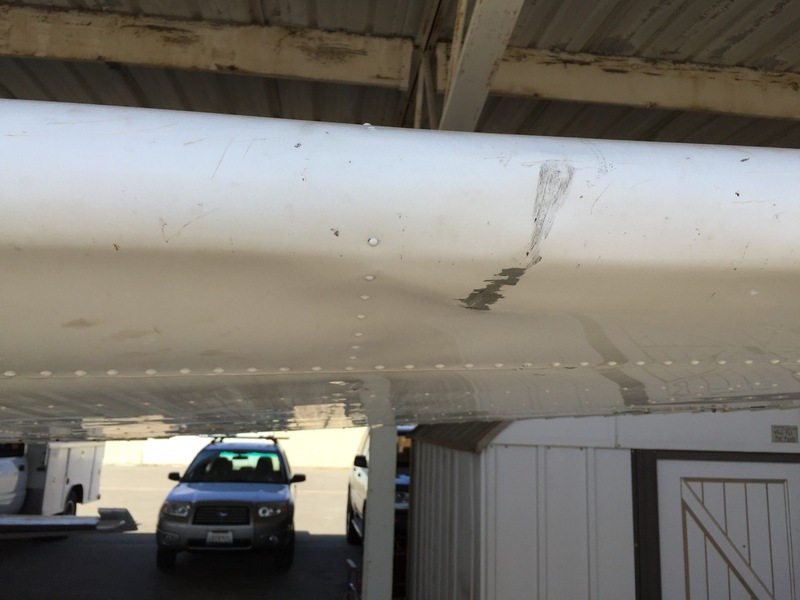 A postaccident examination of the airplane confirmed the pilot’s report that there were no mechanical failures or malfunctions with the airplane that would have precluded normal operation. The pilot’s failure to maintain directional control of the airplane during the landing roll, which resulted in an on-ground collision with two parked airplanes. On August 9, 2016, at 1600 central daylight time, an amateur-built Schabacker Konrad J Acro Sport II, N6214C, collided with two parked airplanes following a loss of control while landing at the Winterset Municipal Airport (3Y3), Winterset, Iowa. Neither the airline transport pilot (ATP) pilot nor the airplane owner/pilot rated-passenger were injured. The airplane was substantially damaged. The aircraft was registered to the pilot-rated passenger and it was being operated under the provisions of 14 Code of Federal Regulations Part 91 as a personal flight. Visual meteorological conditions prevailed for the flight, which was not operated on a flight plan. The flight originated from the Mason City Municipal Airport (MCW), Mason City, Iowa, at 1340. 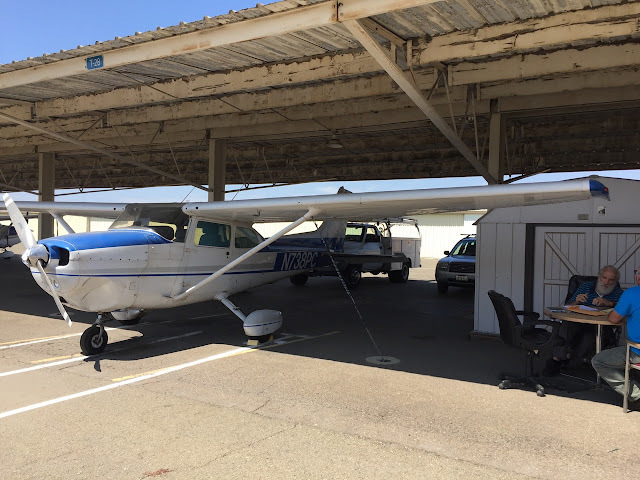 The airplane owner had recently purchased the airplane and had the pilot fly the airplane because the airplane owner did not hold an endorsement to fly tailwheel equipped airplanes. The pilot had a total flight time of 2.5 hours in the accident airplane. The pilot reported they overflew the airport, checked the windsock, and noted the wind was calm so they decided to land on runway 32. Shortly into the landing roll, the airplane began to veer to the left. The pilot straightened the airplane and added engine power to initiate an aborted landing. The airplane once again veered to the left and traveled down an embankment before it collided with two unoccupied parked airplanes on the ramp which were: N601FA, an Aerostar 601P, and N31EG, a Piper PA-23-250. The pilot reported the local wind was calm at the time of the landing. The winds recorded at Des Moines International Airport, Des Moines, Iowa, located about 22 miles northeast of 3Y3, were from 150 degrees at 6 knots. 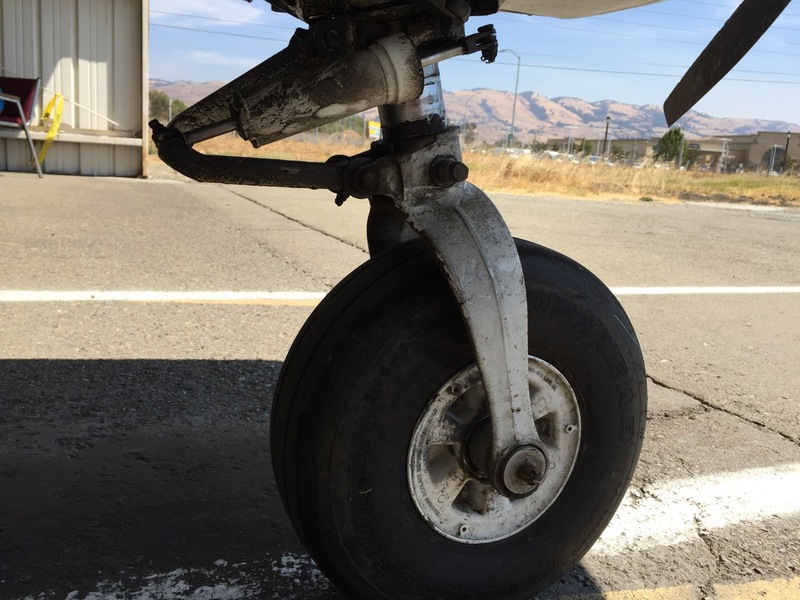 A postaccident examination of the landing gear and brakes was conducted by a Federal Aviation Administration inspector. The inspector reported that he did not find any anomalies that would have prevented the pilot's ability to maintain directional control of the airplane. In addition, the pilot reported that there was no mechanical failure/malfunction of the airplane. On August 9, 2016, at 1600 central daylight time, an amateur-built Schabacker Konrad J Acro Sport II, N6214C, collided with two parked airplanes following a loss of control while landing at the Winterset Municipal Airport (3Y3), Winterset, Iowa. Neither the airline transport rated pilot nor the private pilot on board were injured. The airplane was substantially damaged. The aircraft was registered to the private pilot and it was being operated under the provisions of 14 Code of Federal Regulations Part 91 as a personal flight. Visual meteorological conditions prevailed for the flight, which was not operated on a flight plan. The flight originated from the Mason City Municipal Airport (MCW), Mason City, Iowa. During a full-stop landing to the 100 foot wide paved runway the airplane hit "very hard and bounced to a very high level". The student pilot did not execute a go-around and reported that on the second touchdown "he tried to hold it off again", but the operating propeller struck the runway surface and the airplane bounced a second time. On the third touchdown the nose gear collapsed, directional control was lost, and the airplane exited the left side of the runway. After digging into the grass the nose gear completely separated resulting in substantial damage to the firewall and the forward fuselage. The student pilot and the operator reported that there were no preimpact mechanical malfunctions or failures. The student pilot's improper recovery from a bounced landing. The pilot reported that he was conducting a low reconnaissance in his tailwheel-equipped airplane of a potential grass landing site in remote mountainous terrain during the late evening hours. While conducting the low reconnaissance, he engaged the carburetor heat, descended over the landing site, disengaged the carburetor heat, applied full throttle, and then departed from the landing site. As the airplane departed from the landing site, he reported that the engine revolutions per minute (rpm) were “very low” due to carburetor ice. He stated that due to the loss of power the airplane was capable of level flight, but unable to climb. As the airplane approached rising terrain, he turned about 180 degrees, and landed in an area of thick vegetation about 20 miles per hour. During the landing sequence, the propeller and left wing impacted terrain. The airplane sustained substantial damage to both wings and the fuselage. 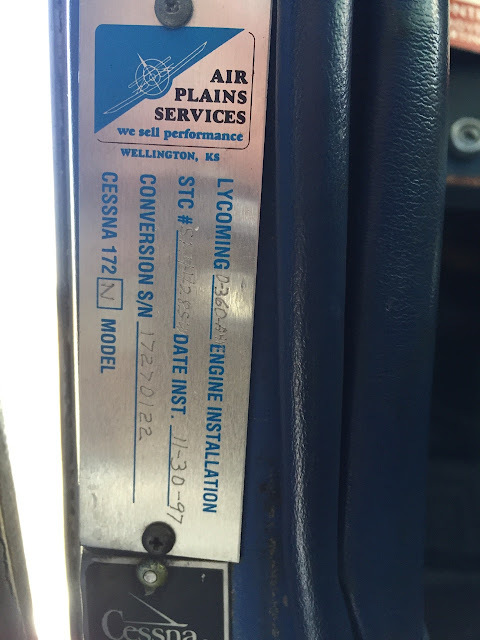 The pilot further reported that the airplane did not have a carburetor temperature gauge installed. In the recommendation section of the National Transportation Safety Board Accident/Incident Reporting Form 6120.1, the pilot stated that the accident may have been avoided if he did not utilize the landing site at that time of the day. 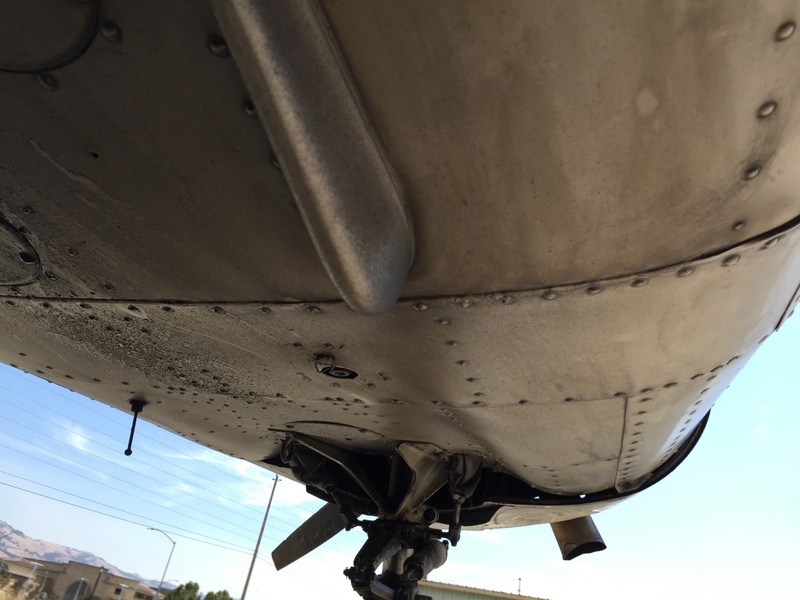 Pilots should be aware that carburetor icing doesn’t just occur in freezing conditions, it can occur at temperatures well above freezing temperatures when there is visible moisture or high humidity. Icing can occur in the carburetor at temperatures above freezing because vaporization of fuel, combined with the expansion of air as it flows through the carburetor, (Venturi Effect) causes sudden cooling, sometimes by a significant amount within a fraction of a second. Carburetor ice can be detected by a drop in rpm in fixed pitch propeller airplanes and a drop in manifold pressure in constant speed propeller airplanes. In both types, usually there will be a roughness in engine operation. The pilot should respond to carburetor icing by applying full carburetor heat immediately. The engine may run rough initially for a short time while ice melts. A partial loss of engine power due to carburetor icing, which resulted from the pilot’s failure to use carburetor heat. The pilot reported that he was conducting a low reconnaissance in his tailwheel-equipped airplane of a potential grass landing site in remote mountainous terrain during the late evening hours. While conducting the low reconnaissance, he engaged the carburetor heat, descended over the landing site, disengaged the carburetor heat, applied full throttle, and then departed from the landing site. As the airplane departed from the landing site, he reported that the engine revolutions per minute (rpm) were "very low" due to carburetor ice. He stated that due to the loss of power the airplane was capable of level flight, but unable to climb. As the airplane approached rising terrain, he turned about 180 degrees, and landed in an area of thick vegetation about 20 miles per hour. During the landing sequence, the propeller and left wing impacted terrain. The airplane sustained substantial damage to both wings and the fuselage. Pilots should be aware that carburetor icing doesn't just occur in freezing conditions, it can occur at temperatures well above freezing temperatures when there is visible moisture or high humidity. Icing can occur in the carburetor at temperatures above freezing because vaporization of fuel, combined with the expansion of air as it flows through the carburetor, (Venturi Effect) causes sudden cooling, sometimes by a significant amount within a fraction of a second. Carburetor ice can be detected by a drop in rpm in fixed pitch propeller airplanes and a drop in manifold pressure in constant speed propeller airplanes. In both types, usually there will be a roughness in engine operation. Mr. Daniel Paul Katen Sr. 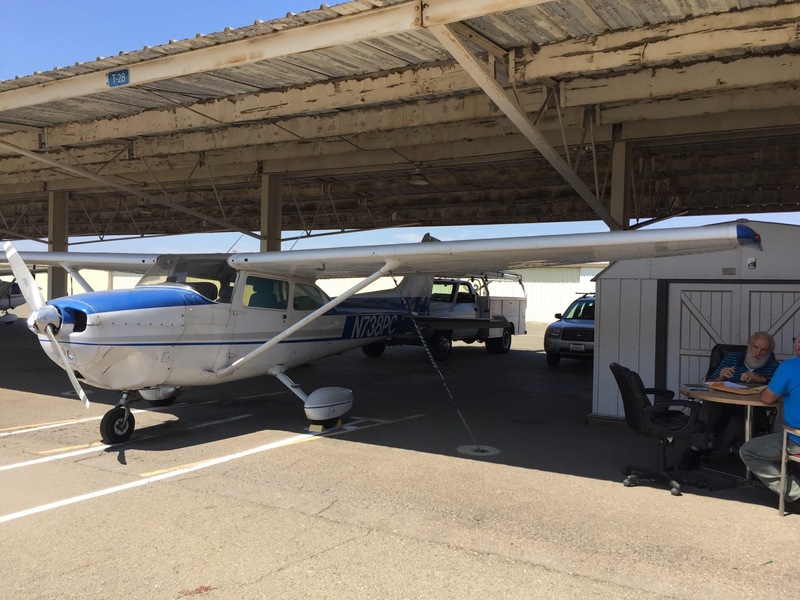 The flight instructor and student pilot were flying the helicopter near dusk about 1,100 ft above ground level (agl) when the instructor initiated a practice autorotation, by reducing the throttle to idle. The engine subsequently experienced a total loss of power; the instructor attempted to restart the engine, but, was unsuccessful. The student provided conflicting statements regarding who was controlling the helicopter during the autorotation and landing, but stated that he started the landing flare about 25 ft agl. He further stated that he did not think that the helicopter's descent had been sufficiently slowed before the helicopter impacted the ground. Upon impact, the tail boom partially separated and the helicopter rolled over, coming to rest on its right side. Postaccident examination of the helicopter and engine did not reveal any mechanical malfunctions or anomalies that would have precluded normal operation. Impact damage precluded any functional testing of the engine and its components, and the reason for the reported loss of engine power could not be determined. The pilot's flight manual stated that an engine restart should not be attempted below 2,000 ft agl, and that, below that altitude, the pilot should conduct a normal autorotation to landing. The manual also stated that the fuel boost pump should be activated before a practice autorotation. The fuel boost pump switch was found in the OFF position. The manual also states that rapid throttle reductions to full idle during flight shall not be conducted at any altitude to minimize the possibility of engine stoppage. The improper execution of an autorotation following the loss of engine power, which resulted in an uncontrolled descent into terrain. 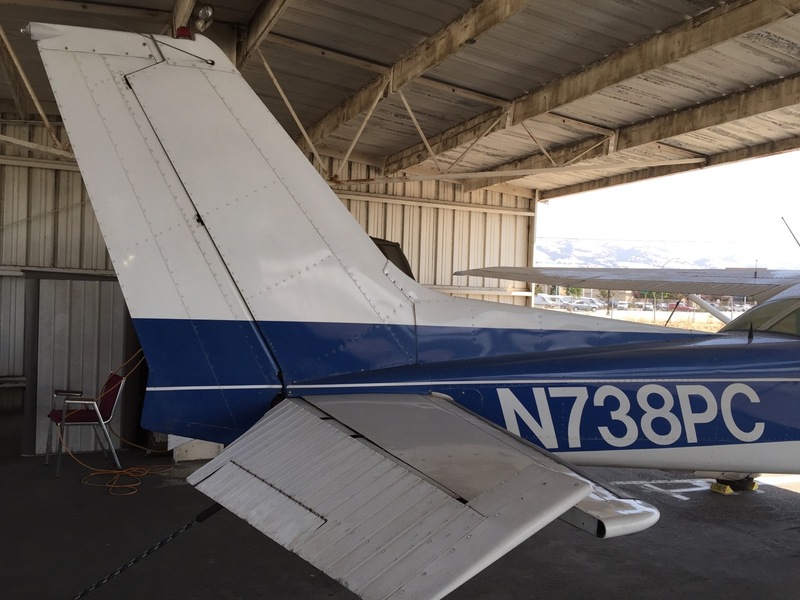 Contributing to the accident was the flight instructor's lack of remedial action during the autorotation. 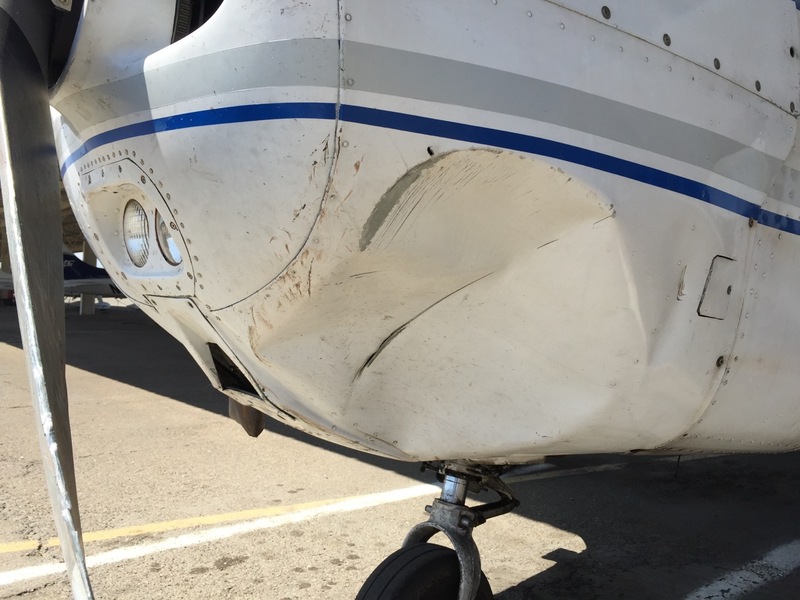 On August 9, 2016, at 2035 central daylight time, a Hughes 269C helicopter, N9277R, impacted terrain following an autorotation near Howe, Texas. The flight instructor was fatally injured, the student pilot sustained serious injuries, and the helicopter sustained substantial damage. The helicopter was privately owned and operated under the provisions of 14 Code of Federal Regulations Part 91. Visual meteorological conditions prevailed at the time of the accident, and no flight plan was filed. The local instructional flight departed the Sherman Municipal Airport (SWI), Sherman, Texas, at an unknown time. 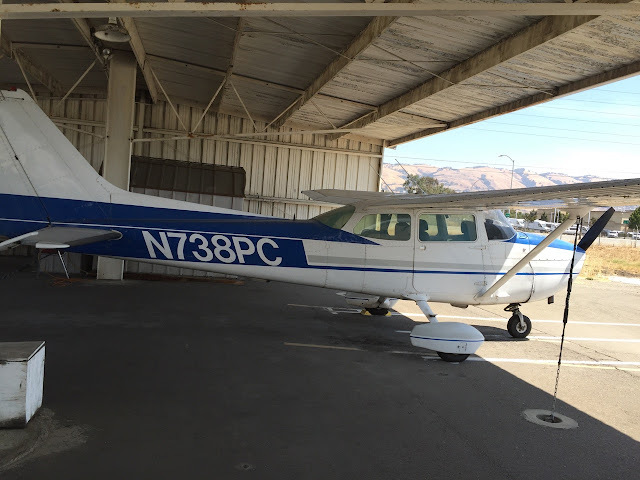 The student pilot reported to a law enforcement officer who responded to the accident that he and the flight instructor were flying about 1,100 ft above ground level (agl) when the instructor initiated a practice autorotation which included reducing the throttle to idle to simulate an engine failure. When the engine power was reduced, the engine experienced a total loss of power. The flight instructor attempted to restart the engine, but was unsuccessful. The student stated that the autorotation was initially controlled, but then the helicopter impacted terrain in a high-speed descent. During the impact, the tail boom partially separated, and the helicopter rolled over, coming to rest on its right side. In a written statement, the student reported that he and the instructor had completed some landings and other operations at SWI, and were returning to his residence at an altitude about 1,200 ft agl. While en route, the instructor "slowly rolled down the throttle to simulate [an] engine failure." 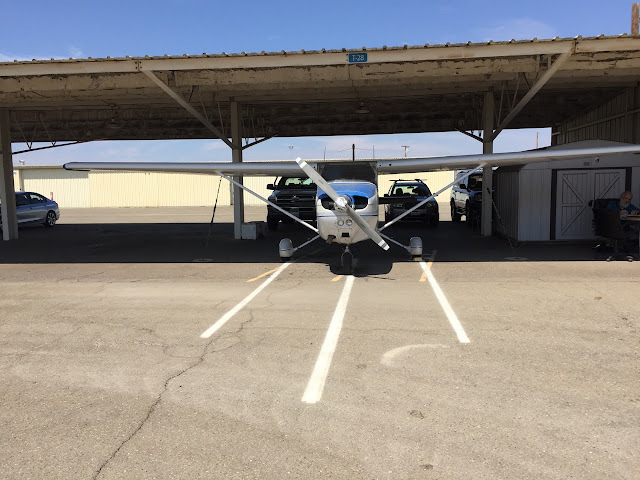 After noticing the throttle reduction, the student lowered the collective and looked for an appropriate place to land. The student and instructor then noticed the engine rpm gauge was reading zero. 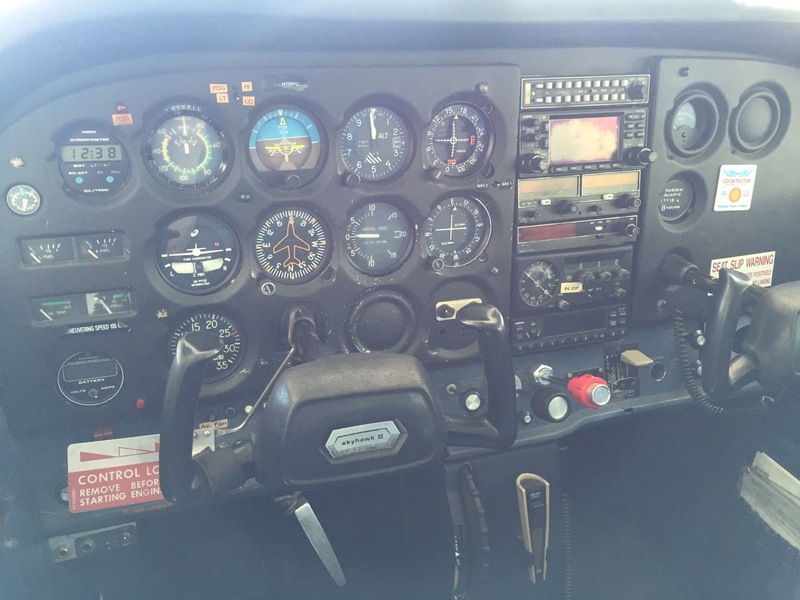 The student stated that both he and the instructor were "on the controls" during the autorotation. The student recalled starting to flare about 25 ft agl, and did not recall any details after the flare. The student reported, "I feel we didn't slow the descent enough before contacting the ground..." The student exited the helicopter and attempted, unsuccessfully, to extricate the instructor. He then went to search for assistance. According to a Federal Aviation Administration (FAA) inspector, who spoke with the student after the accident, the student stated that the instructor never touched or manipulated the flight controls during the flight and during the accident sequence. According to the FAA inspector who spoke with the student, the student had accumulated 25 flight hours with a local helicopter flight school before flying with the accident instructor. He'd stopped flying with the local flight school in October 2012. 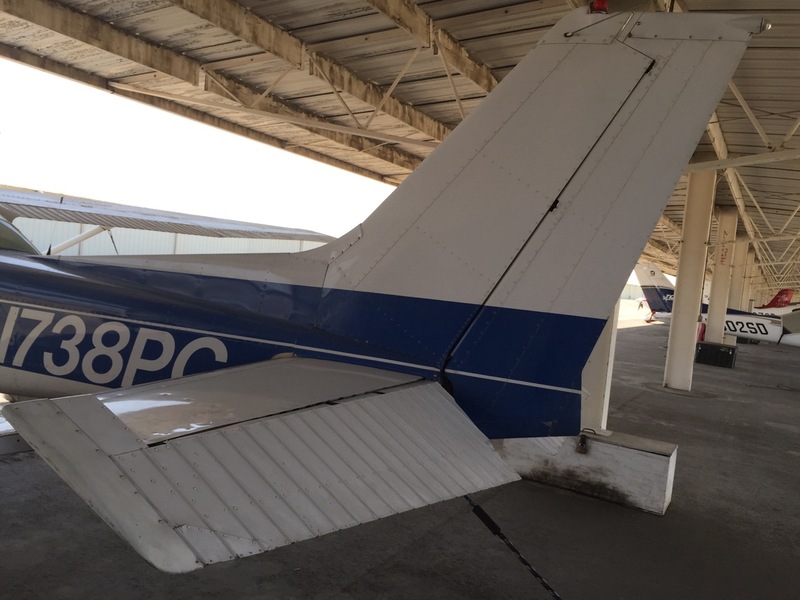 Since October 2015, the student had flown several flights with the instructor and had accumulated 63.7 total flight hours at the time of the accident. 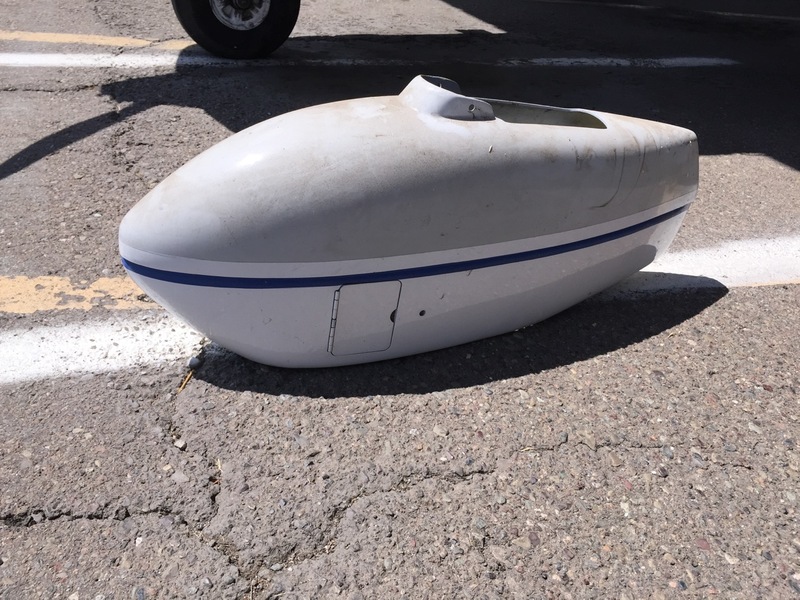 According to law enforcement, on July 12, 2014, the student had been involved in a previous accident in the same make/model helicopter. The student stated to the FAA inspector that he was moving the helicopter when the helicopter "got away from him." The accident was not reported to the NTSB. The helicopter's most recent annual inspection (which included an annual, 100, 200, 400 and 24-month inspections) was completed on August 10, 2015, at a total airframe time of 5,624 hours and a Hobbs meter time of 13.0 hours. At the time of the inspection, the engine had accumulated 3,664.6 total hours and 392.6 hours since overhaul. The Hobbs meter time at the accident site was 52.7 hours. Review of maintenance records revealed no entries or comments related to idle/mixture adjustments or settings. Review of sun and moon data from the U.S. Naval Observatory revealed that, on the day of the accident, sunrise was at 0644, sunset was 2018, and the end of civil twilight was 2045. The helicopter impacted down sloping grassy terrain adjacent to wooded areas and residential structures. The main wreckage consisted of the fuselage, a portion of the tail boom, and the main rotor system. The landing gear skids were spread apart and bent up into the fuselage. The instrument panel was partially separated from the fuselage. The fuel boost pump switch was found in the OFF position. The right seat anti-torque pedals were separated from the pedal supports. 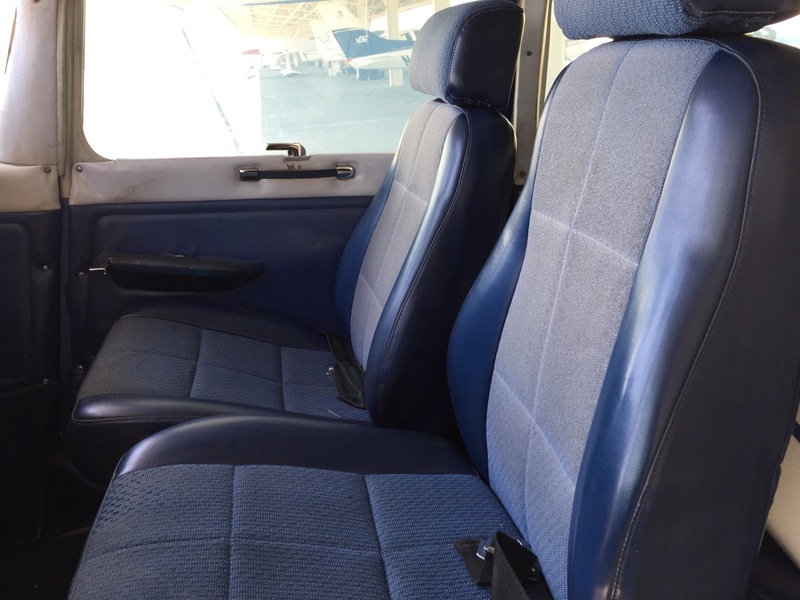 Both the left and right seat bottom panels were crushed downward about 4 inches. Flight control continuity was established from the cockpit to all flight controls in the main rotor and tail rotor systems. The three main rotor blades were bent and deformed, and remained attached to the rotor head. Upon their arrival to the accident site, first responders noted that fuel was draining from the fuel tanks. The helicopter was recovered to a secure storage facility for further examination. On August 30, 2016, the helicopter was examined by the NTSB investigator-in-charge, a representative from the FAA rotorcraft directorate, representatives from Sikorsky Aircraft, and a representative from Lycoming Engines. Examination of the airframe revealed the mast was intact and three support struts were straight and attached. The transmission was intact and remained attached to the steel center frame. The steel tube support frame exhibited bending, buckling, and fractures. The two forward cockpit floor support struts were fractured. The cockpit floor was separated from the base of the seat deck. The door frames were fractured and separated. 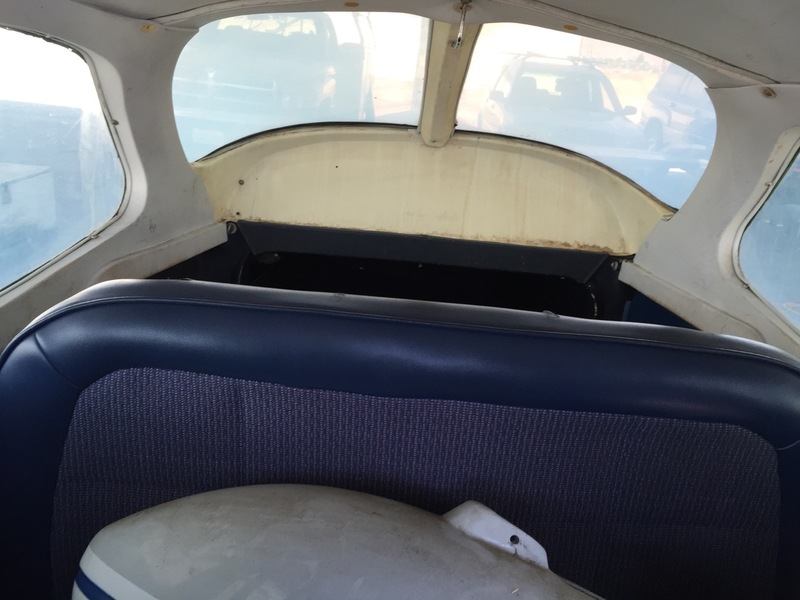 The aft cabin wall was distorted and wrinkled at bottom attach area to the seat deck. The canopy frame was fractured and separated with all Plexiglas broken and separated. The main rotor blades remained attached to the rotor head, and the blades were intact. The yellow blade was bent up at the root end doubler, bowed down at mid-span, and upward at the blade tip. Chordwise crushing and trailing edge wrinkles were noted about mid-span. White paint transfer, consistent with contact with the airframe, was noted on the bottom leading edge. The blue blade was bent downward at the root end doubler, bowed upward near mid-span, and downward at the tip. White paint transfer was present near the blade tip. The red blade was bent downward at the root end doubler. The blade was relatively straight. The main rotor head was intact and attached to the drive shaft. The rotor head turned freely in the mast bearing with continuity through the main gear box. The three upper main rotor hub attach bolts exhibited compression damage. The compression damage was consistent with contact from the pitch bearing shaft from a high upward blade movement. The blade up-flapping/coning was consistent with blade to ground contact. The droop stop ring was not present. The tail boom was fractured at the center bulkhead rivet line, and the forward section was separated from the steel tube frame and strut at the forward bulkhead. Both tail boom support struts were fractured at the lower tabs in a downward direction. 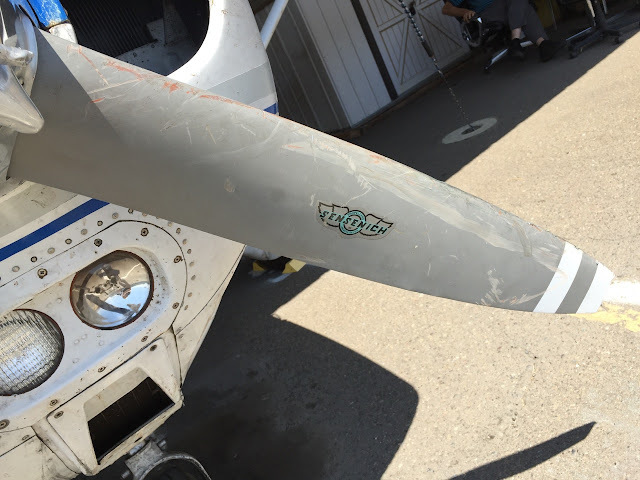 A main rotor blade contact dent was noted aft of the center attach fitting, at the internal damper location. The left support strut remained attached to the tail boom and exhibited a long black mark on the outside lower portion of the tube, consistent with main rotor blade contact. The horizontal stabilizer displayed downward bending damage and skin buckling at the forward attachment to the tail boom. The lower vertical stabilizer sustained crush damage consistent with ground contact. The tail rotor blades remained attached to the hub. Both blades displayed minor airfoil damage. One blade was intact and straight, and one blade was fractured at the end of the hub. The tail rotor driveshaft was separated at the forward end from the main gear box pinion drive spline. The driveshaft remained in one piece, but was buckled and folded aft at the boom separation point. The driveshaft exhibited torsional twisting near the forward end with twisting in the direction of rotation, consistent with tail rotor contact prior to separation. 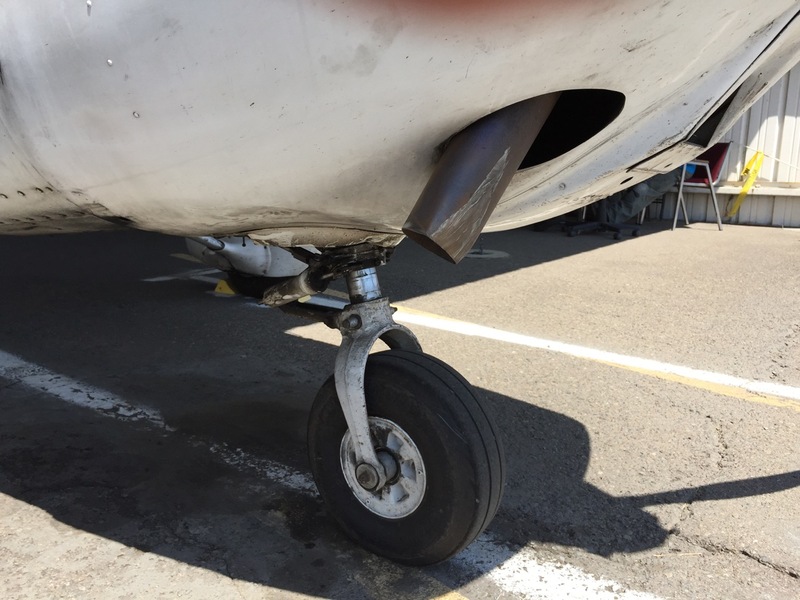 The left landing gear skid remained attached to the forward cross beam at the strut and damper. The left aft skid was separated at the strut to cross beam, with the fracture consistent with overload failure. The right landing gear skid forward strut remained attached to the crossbeam, and the aft strut separated at the crossbeam. The skid was bent between the forward and aft strut attach points, and fractured forward of the forward strut. The engine remained partially attached to the airframe. The exhaust pipes were crushed, deformed, and displaced, consistent with ground contact. The fuel injector body exhibited impact marks consistent with forward landing gear crossbeam contact. The throttle bellcrank linkage was fractured and separated from the bottom of inlet adapter mount. Engine control continuity was established from the cockpit controls to the engine components; however, full motion was restricted due to airframe deformation. Thumb compression and valve motion was noted on all cylinders. The magnetos were removed and rotated with a portable drill, and all eight spark plug leads produced spark. The fuel injector nozzles were removed and all nozzles exhibited some carbon on the orifice tips. The fuel injector body bore exhibited carbon deposits. The drained oil from the crankcase was black in color. The engine could not be functionally tested due to damage. Blue fuel stains were noted from the filler caps on both the main (left) and auxiliary (right) fuel tanks. A puncture was noted in the bottom of the auxiliary tank, and no fuel was present in the fuel tanks. Fuel was found in the fuel injector and fuel pump. The instructor died in the hospital on August 10, 2016. The Dallas County Office of the Medical Examiner, Dallas, Texas, performed an autopsy on the instructor. The autopsy report stated that the cause of death was blunt force injuries. The FAA's Bioaeronautical Sciences Research Laboratory, Oklahoma City, Oklahoma, performed forensic toxicology on specimens from the flight instructor. The results were negative for carbon monoxide and ethanol. Testing identified Acetaminophen (31.2 (ug/ml) in the urine, glucose (160 mg/dl) in vitreous, glucose (18 mg/dl) in urine, and the blood sample was unsuitable for analysis of Hemoglobin A1C. Acetaminophen is a pain and fever reliever commonly sold under the trade name Tylenol. The Pilot's Flight Manual found at the accident site was last updated in June 2000. According to the manufacturer, there had been nine revisions since that date, with the latest revision November 19, 2014. A complete re-issue was published December 7, 2012, which included new warnings on practice autorotations and throttle management. "Lower collective pitch. Enter normal autorotation. Establish a steady glide of 52 knots (60 mph) IAS approximately. At an altitude of 50 feet, begin steadily to apply back cyclic stick to decreased forward airspeed. At approximately 10 feet, coordinate collective pitch with forward movement of cyclic stick to level ship and cushion landing. Make ground contact with ship level." "Pick out landing spot. If less than 2000 feet above terrain, proceed with autorotation landing. Pull mixture control to IDLE CUTOFF when time permits to stop flow of fuel from nozzles." "NOTE: This check of idle mixture, idle speed, and fuel boost pump shall be accomplished at the end of the last flight each day, prior to engine shutdown. Land from a hover with engine cylinder head temperature and oil temperature as near to in-flight conditions as possible, friction on the collective and cyclic controls, governor disengaged, and engine speed at operational rpm. Ensure MIXTURE is set to FULL RICH. NOTE: Engine speed with immediately decrease to idle level. Rotor speed, however, will decline gradually. The next step must be performed before rotor tachometer needle superimposes with engine tachometer needle. Observe engine tachometer need and smoothly move mixture control toward IDLE CUTOFF position. Return mixture control to FULL RICH before the rpm decreases to a point where the engine will stop. NOTE: Engine rpm rise is required to be between 25 and 100 rpm for this check. If rpm rise is not within the required limits, notify the appropriate maintenance personnel to perform proper idle speed and mixture adjustments. Operate helicopter at operational rpm with rotor system engaged, friction on the collective and cyclic controls, and governor disengaged. Rapidly rotate throttle closed and into full override position. Read and record engine idle rpm to engine and rotor tachometer needles superimposing. With engine head temperature near 300 degrees F, but not above, repeat the three preceding steps, without going into full override (set throttle at normal idle stop). NOTE: The first check (throttle into full override) should produce an idle speed no less than 1400 rpm. The second check (throttle at normal idle stop) should produce an idle speed no greater than 1600 rpm. If engine idle speed is not within the required limits, notify the appropriate maintenance personnel to perform adjustments in accordance with the Basic HMI." "Engine idle speeds at high density altitude may be less than those set at sea level conditions. Do not rapidly reduce throttle to idle stop in flight. WARNING – To minimize possibility of engine stoppage, rapid throttle reductions to full idle during flight shall not be conducted at any altitude." "WARNING – During power recovery from practice autorotations, airspeed and altitude combinations that are inside the height velocity curve shall be avoided. High rates of descent may develop from which recovery may be difficult or not possible. WARNING – Practice autorotations shall be conducted in an area with a suitable landing site available to minimize hazards associated with inadvertent engine stoppage. WARNING – To reduce the chance of engine stoppage when initiating practice autorotations or simulated forced landing training the throttle shall not be abruptly retarded to the idle position. CAUTION – At high power settings an overspeed might occur if throttle is not reduced slightly when collective is lowered. Ensure fuel boost pump is activated prior to commencing autorotation training. Split the needles by reducing throttle slightly and lowering the collective. The throttle correlation will establish a high idle rpm (approximately 2500 rpm) which will aid in preventing the engine from loading up or stalling during recovery. Conversely, for recovery, increase throttle slightly when the collective is raised, the correlation is such that only minor throttle adjustments will be required to perform a smooth recovery without exceeding 3200 rpm. If engine stops make a touchdown auto landing." 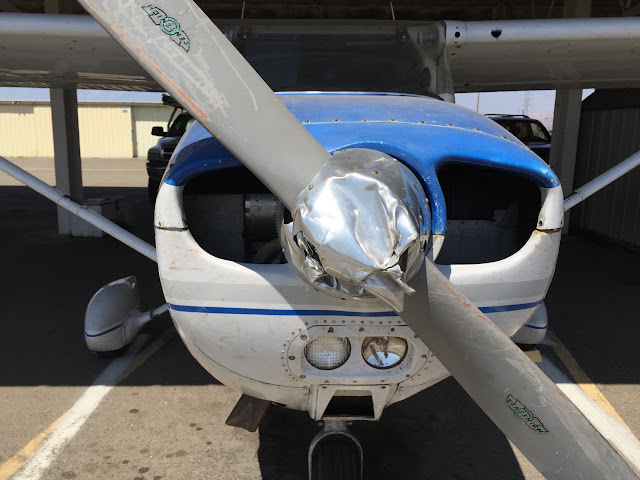 On August 9, 2016, at 2035 central daylight time, a Hughes 269C single-engine helicopter, N9277R, impacted terrain following an autorotation near Howe, Texas. The flight instructor sustained fatal injuries, the student pilot sustained serious injuries, and the helicopter sustained substantial damage. The helicopter was registered to and operated by a private individual as a 14 Code of Federal Regulations Part 91 instructional flight. Visual meteorological conditions prevailed at the time of the accident, and a flight plan was not filed. The local flight departed an unknown location at an unknown time. According to law enforcement personnel who interviewed the student pilot following the accident, the flight instructor and student pilot were flying about 1,100 feet above ground level when they attempted a practice autorotation which included a simulated engine failure, or reducing the throttle to idle power. When the engine power was reduced, the engine lost total power. The flight instructor attempted to restart the engine; however, was unsuccessful. The student pilot stated the autorotation was initially controlled, but then the helicopter impacted the terrain in a high speed descent. During the impact, the tailboom partially separated, and the helicopter rolled over coming to rest on its right side. Examination of the accident site showed the helicopter impacted down sloping grassy terrain. The main wreckage consisted of the fuselage, a portion of the tailboom, and the main rotor system. The landing gear skids were bent up into the fuselage. 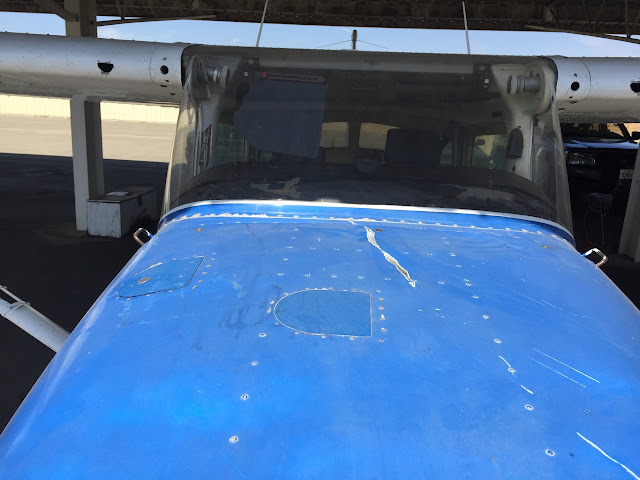 The instrument panel was partially separated from the fuselage. The right seat anti-torque pedals were separated from the pedal supports. Both the left and right seat bottom panels were crushed downward approximately 4 inches. At 2035, the North Texas Regional Airport (GYI), Sherman, Texas, located approximately 12 miles northwest of the accident site, reported the wind from 130 degrees at 5 knots, visibility 10 miles, sky clear, temperature 34 degrees Celsius, dew point 18 degrees Celsius, and an altimeter setting of 29.90 inches of mercury. Federal agencies began their investigation Wednesday into what caused a helicopter to crash Tuesday night in Howe, resulting in the death of one occupant and injuring the second. 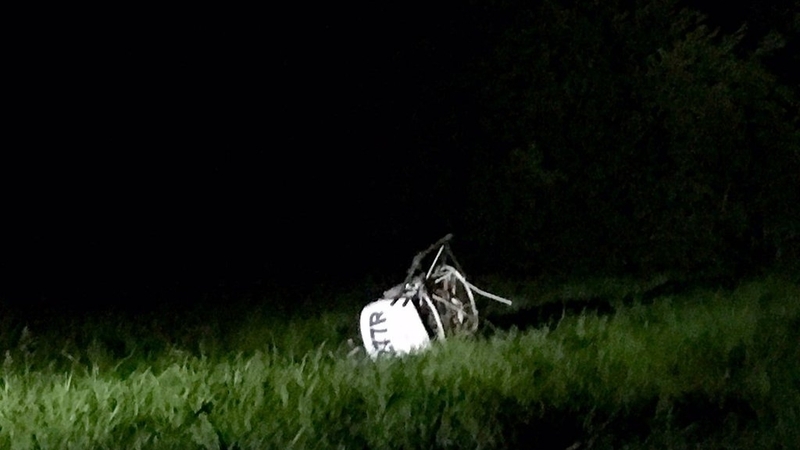 The two-person helicopter went down at about 8:30 p.m. in a field near 264 Bennett Road. Officials with the Federal Aviation Administration said in an email the helicopter experienced engine failure, which caused the aircraft to crash. Investigators with the National Transportation Safety Board started looking into why the engine failure happened on Wednesday. “NTSB is investigating and typically we will be working with the FAA, who may be on scene to collect data for us and provide that to us,” Keith Holloway, an NTSB spokesperson, said. Emergency responders arrived quickly to the scene Tuesday night and transported two men to the Wilson N. Jones Regional Medical Center. Texas Highway Patrol Staff Sgt. Mark Tackett said one man was a student flyer and the second was instructing. 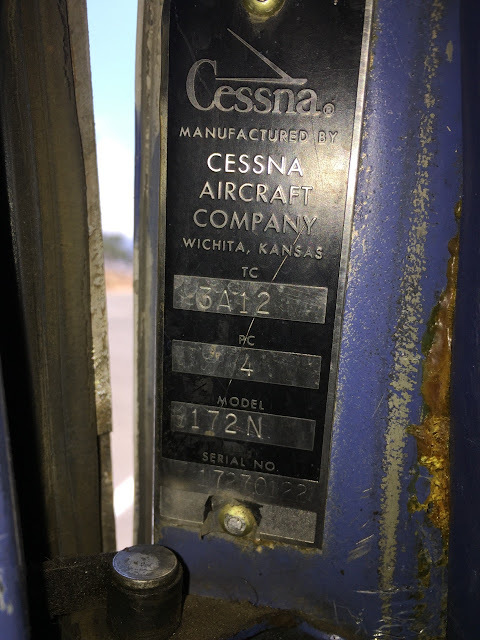 The helicopter was a Hughes 269C, and manufactured in 1979, FAA records indicate. On Wednesday morning, Tackett identified the instructor as 58-year-old Daniel Katen of Lewisville, who died at the hospital at 6:44 a.m. Matt Cavender, the owner of the aircraft and the second occupant, was transferred to Parkland Hospital in Dallas and was reported in stable condition as of Wednesday morning. Jeff Leake, who owns the property where the helicopter crashed, said Cavender walked uphill about 200 yards to Leake’s residence and banged on the door. Leake said he never heard the crash, but he saw Cavender was injured and seemed to be in shock. He said Cavender was walking with a limp, and he told Leake that Mr. Katen was pinned underneath the crashed chopper. Leake called 911, and several area emergency responders arrived to the scene. About two miles away, Kery Burns said he heard the crash, but he didn’t know it was a helicopter until later that night. Burns lives in Howe near U.S. Highway 75. Burns said he didn’t see a fire or smoke, and there wasn’t anything too distinct about the sound. A little while later, he said his wife informed him it was a helicopter crash. Holloway said the goal of the investigation is to find what caused the crash by looking for possible mechanical failures, weather conditions, communications with air traffic control, witness accounts and any structure damage or failures to the aircraft itself. The investigation will also examine the pilots history and flight log books. He said the answer to why the helicopter crashed won’t come right away. FAA officials said the FAA might examine the wreckage at the crash site, but the NTSB personnel will be present for any further analysis once the aircraft is taken to a secure facility. HOWE, Texas -- One person has died from injuries sustained in Tuesday's helicopter crash near Howe. Both were taken to Wilson N. Jones Medical Center in Sherman after the helicopter crashed around 8:35 p.m.
Texas DPS Trooper Mark Tackett said the instructor, Daniel Katen of Lewisville, died at 6:45 a.m. Wednesday due to injuries sustained in the crash. Troopers said Matt Cavender, 44, of Howe, was flying his 1979 Hughes 269C helicopter when it crashed near Bennet Road. 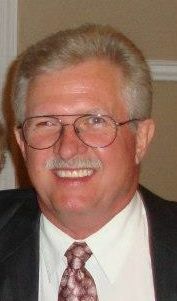 Cavender's passenger and flight trainer was Katen, 58. Investigators said the men took off from Cavender's home nearby, and cut power at 1,000 feet as part of the training -- but could not restart the aircraft. 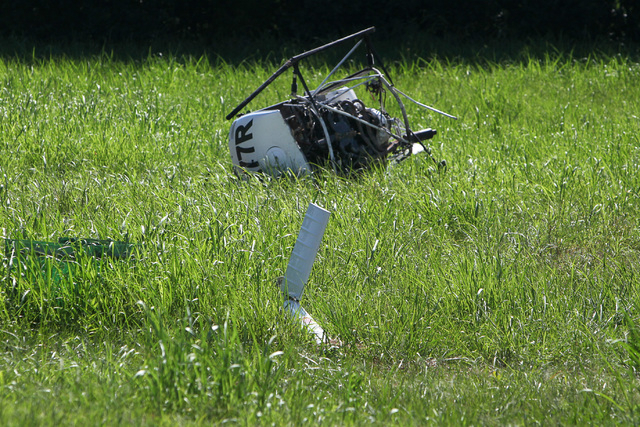 "The pilot and the instructor were up doing maneuvers, and for some reason the helicopter lost power and crashed," Tackett said. Jeff Leake said he lives up the street, about the distance of three football fields from where the accident happened. "I was up there at my house and all of a sudden someone was knocking on the door," Leake said. "It was the pilot saying, 'Help me, help me, I crashed my helicopter and my friend is stuck down there.' "
Leake said he immediately called 911 and drove down to the crash with the pilot, who he said was injured and bruised. "I saw his buddy still trapped underneath and the machine was on his arms," Leake said. "I lifted it up, flipped him over, prayed and started doing CPR with the help of the pilot until crews showed up." The National Transportation Safety Board will take over the investigation when they arrive Wednesday afternoon. Tackett said the cause will not be confirmed until the FAA investigates.